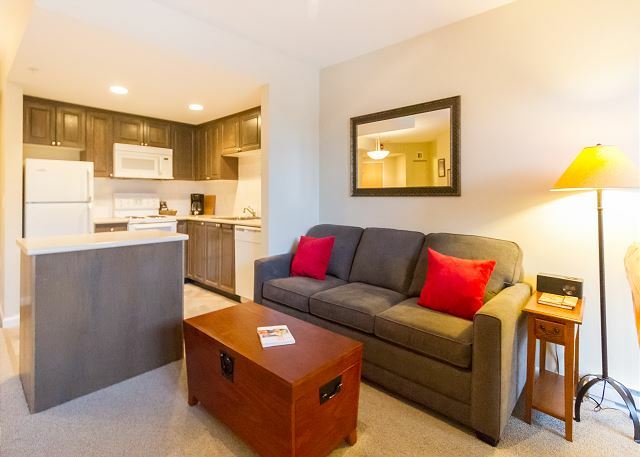 A modern and well thought out 1 bedroom condo. 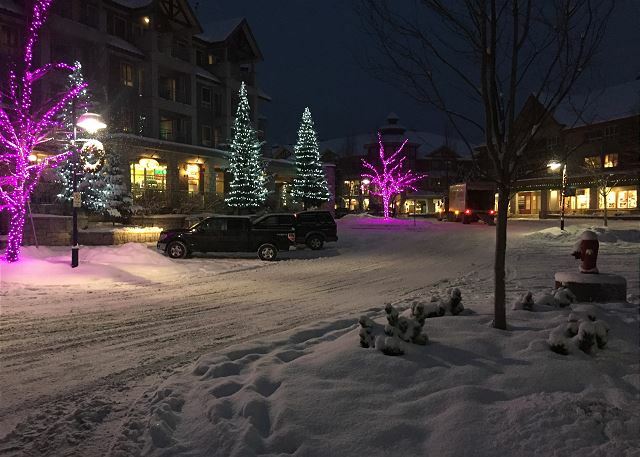 This is the perfect location if you don't want to use a car whilst in Whistler. Free Parking! 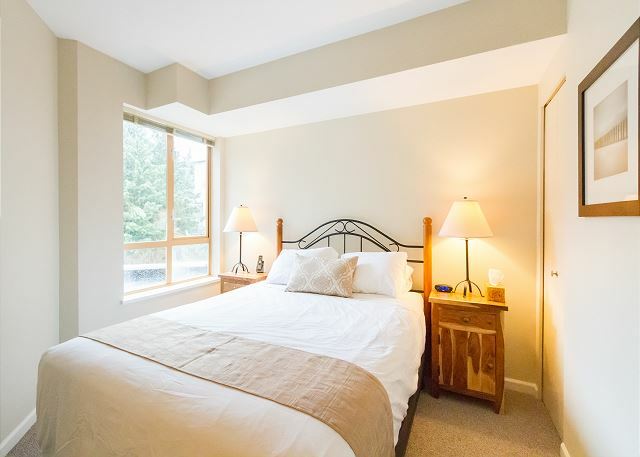 This wonderfully appointed 1 bedroom property is set just outside Whistler's Olympic Plaza where there are numerous concerts held throughout the summer and free ice skating during the winter months. 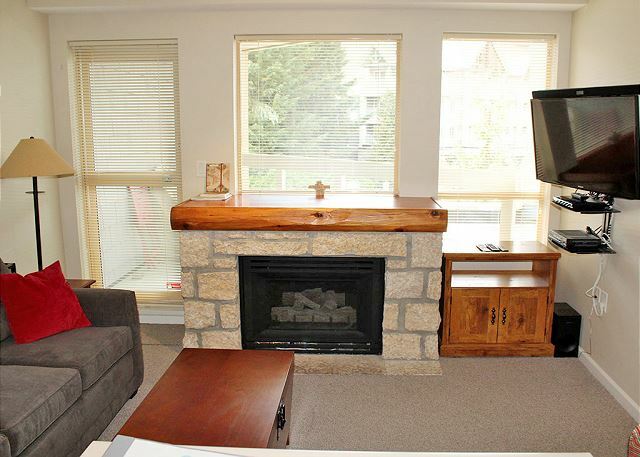 Sleeps 4 in total - 1 master bedroom with queen bed and a comfortable pull out queen sofa bed in the living area. 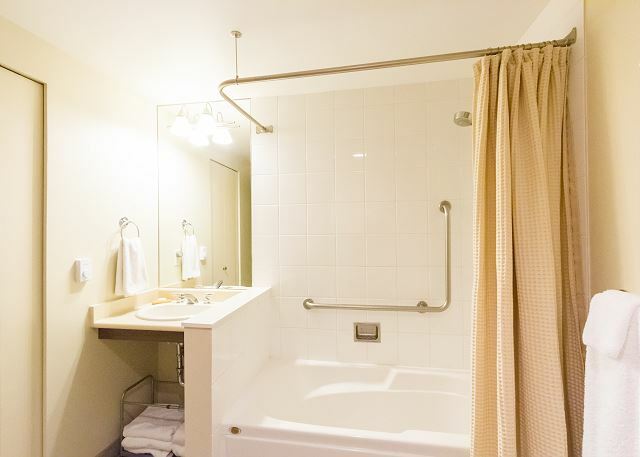 In house laundry, fully equipped kitchen and 1 bathroom. 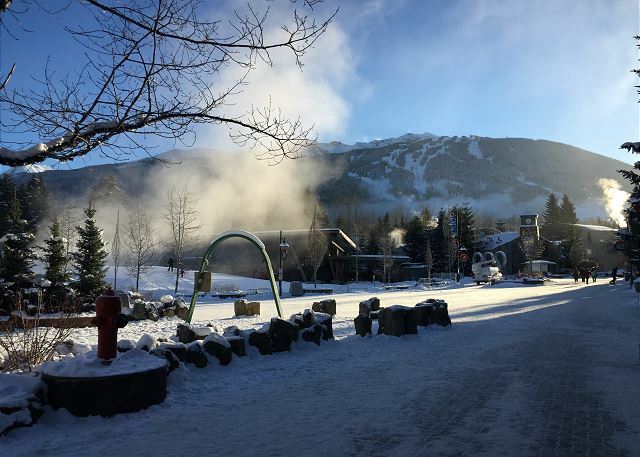 • 0 minutes to Village - come out of the property and you're at Whistler's Olympic Plaza! Perfect location. Clean. Plenty of room for the 2 of us. Handy to everything in the village and the free shuttle. Parking spots are roomy. 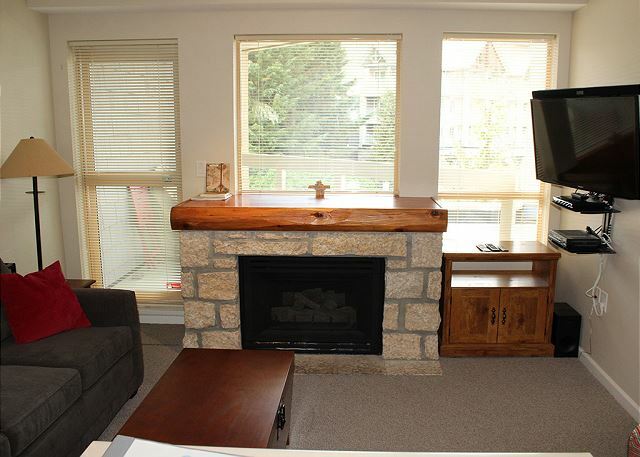 Great location and nicely renovated unit right near Olympic Plaza. Very comfortable bed in the master and the pullout sofa bed was comfortable as well. Our contact Debbie was responsive and very easy to deal with. Questions were answered promptly without fuss and our concerns taken care of within minutes. Thank you Debbie for a great stay. Would absolutely stay at this property again. 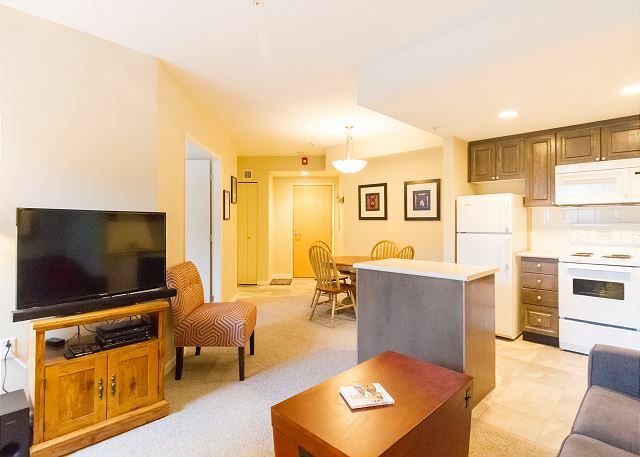 Great location, convenient and quiet, comfortable bed, spacious condo for a couple. Good communication with owner. Enjoyed and would definitely recommend to others. This was an AMAZING location to be! Right at the heart of the Ironaman events! Our rental had a portable air conditioner too and that made ALL the difference as the temperatures were very hot during our stay! It fit our family of 4 perfectly! The couple of questions I had during our stay were responded to immediately, AND we had a reserved parking spot!! 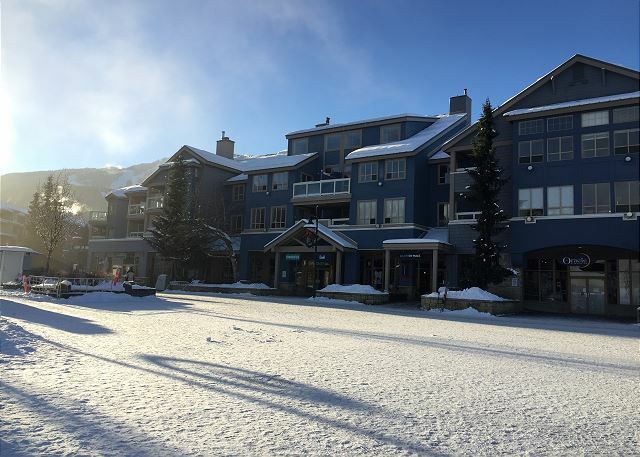 My husband is debating on racing Ironman Canada 2019, and if he does we will be looking to rent this same spot! 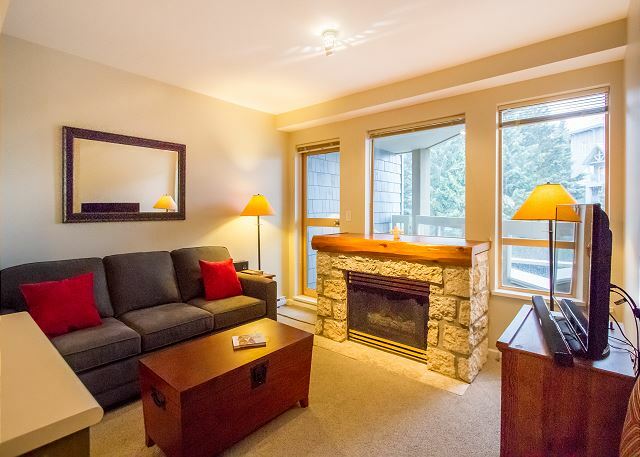 Excellent location, quiet, well appointed, comfortable, easy access to all Whistler has to offer. Very pleased with our rental experience. Everything in the listing was as advertised. Rental was very comfortable and the kitchen was stocked with everything that you need. On line questions were responded to in a timely manner. Had a minor plumbing issue after we arrived and it was addressed in a timely manner. I would rent this property again. 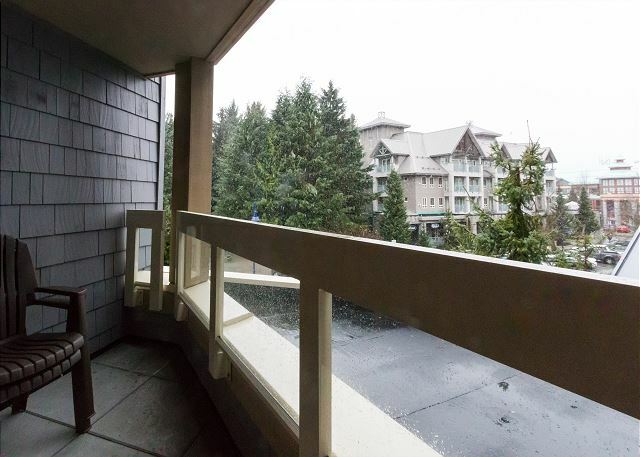 This condo was perfect for our family vacation in Whistler with our 2 young daughters. 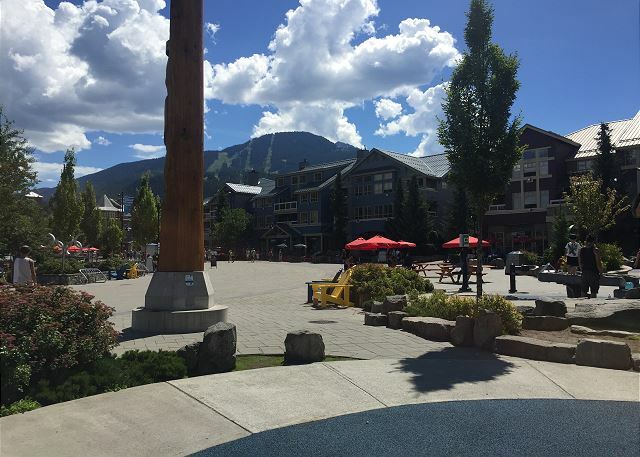 We loved the location in the Whistler village right the next to Olympic plaza. Condo was nice and clean, communication with Debbie was good and check in was easy. Access to a small pool and hot tub was a nice plus. Overall a great place! Would recommend! Would stay there again. Great location, especially since my favorite bakery is just below. Purebread. Condo was great, had what we needed. Our first expérience was a success we felt at home. We stayed at unit 220 and loved it! 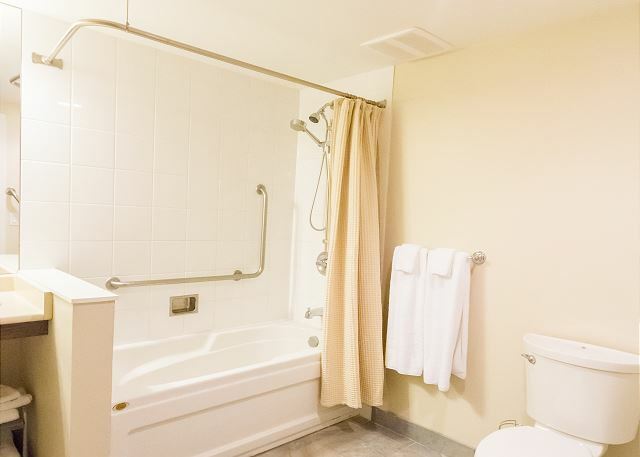 Unit is clean, there is enough supplies in the kitchen, and in the bathroom (towels, etc.). 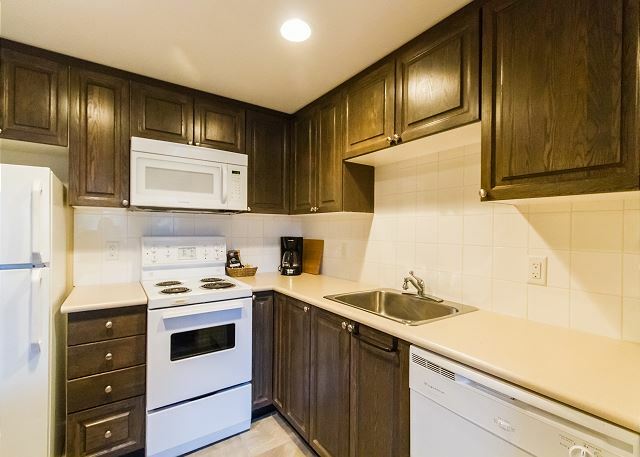 This unit located right across the Olympic plaza, and it faces the road, which was great because it is much quieter side. Location is great for families with younger kids: there is a nice playground, skate zone, and a small sliding area (seasonal) right across the building. Also, plenty of grocery shopping, restaurants, and clothes stores- some of them on the ground floor of the building. 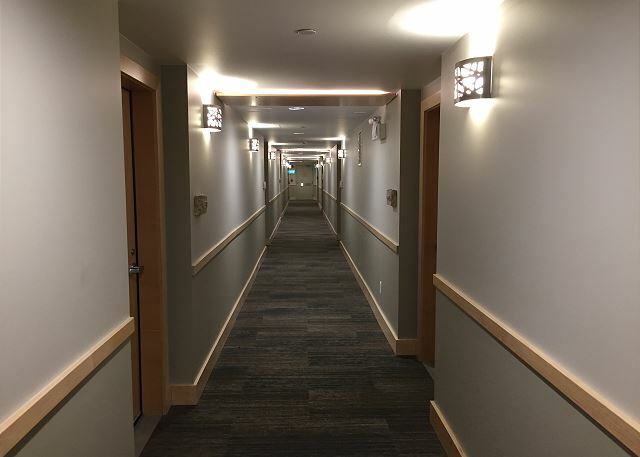 Need to add that the building is very secure with key access to all common areas and elevator. 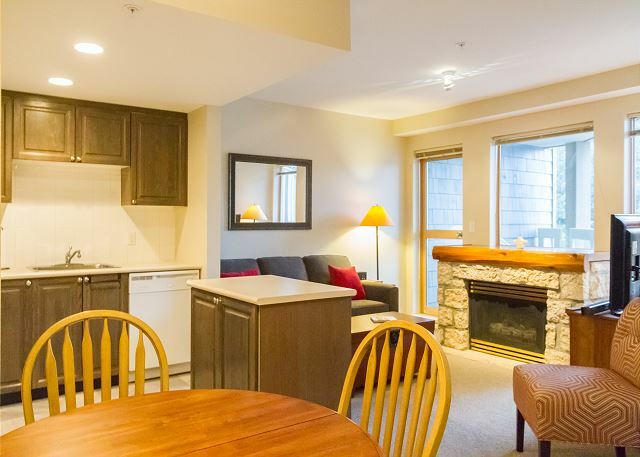 Wonderful location and great sized lodge for 2 people. Close to supermarket if you want to cook. Very good restaurants close by. Pure bread downstairs for morning coffee and cake amazing. Very clean, great to have washer and dryer in apartment . Fridge was noisy if you were using the sofa bed. Property was convenient and in the village. The grocery store beside it was a great bonus. Instructions and information were well done and organized. They also had books, boardgames, maps and lists of activities available in the room. It was a great little place. The bed was also comfortable. 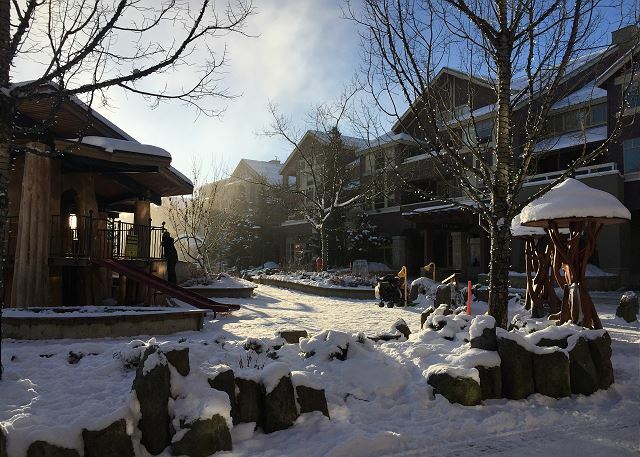 Our recent stay at Whistler Breaks was absolutely fantastic. 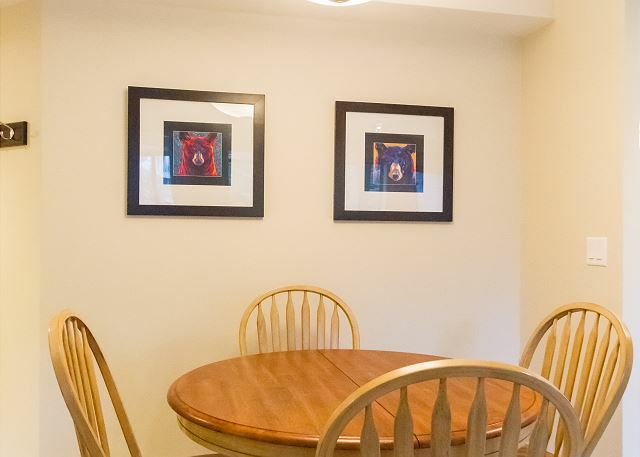 The condo was spotless and exactly as shown in pictures. 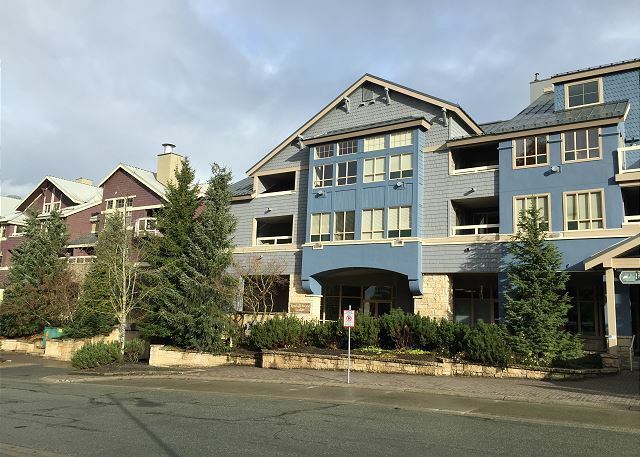 Accessing the condo went without a hitch and the location could not have been better, we took many strolls in the village and could walk to many of the best attractions. 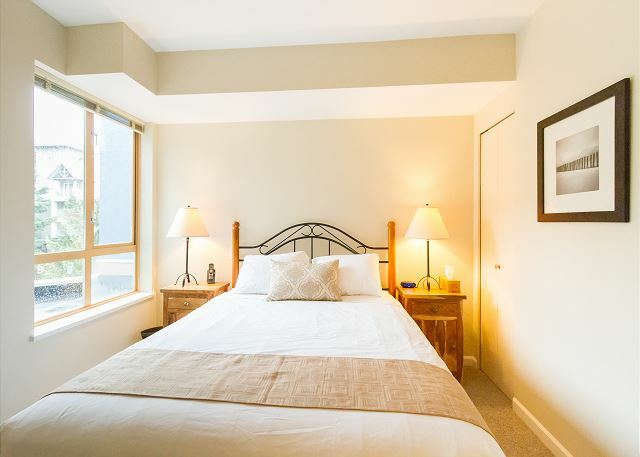 We would highly recommend this property for both location and comfort. Our host was very prompt in responding to our reservation and any questions we had, so the reservation process was also very smooth. 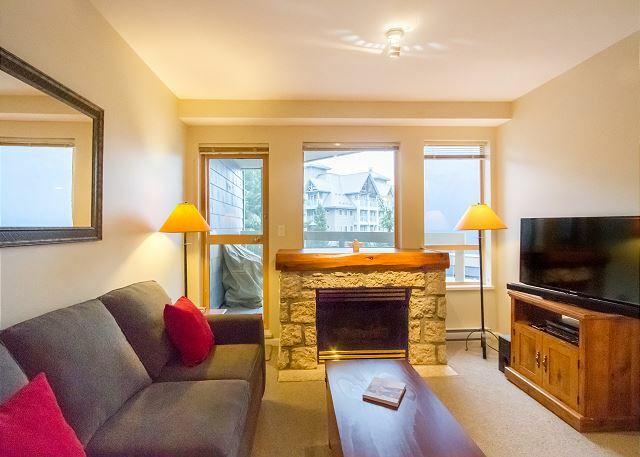 The condo was perfectly located for all activities in Whistler and the surrounding area. The condo was clean and tidy and well equipped for our needs. We had a lovely stay. It was better than expected. The suite was clean with all the basic household items you'll need. This is the best value and experience we had so far. Great communication and mobile app with ease of access to the place. 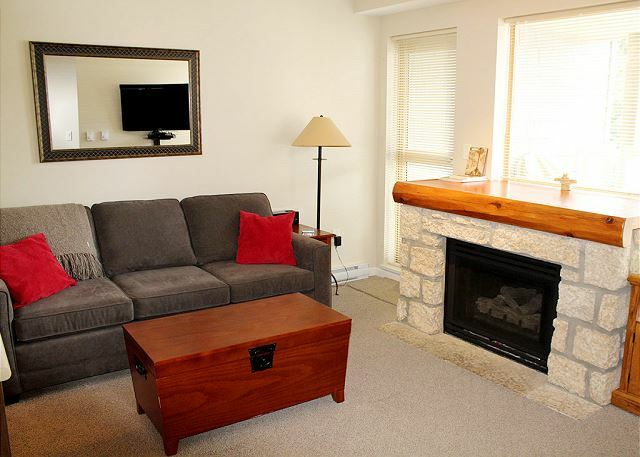 We enjoyed our stay in this cozy Tyndall Stone apartment. 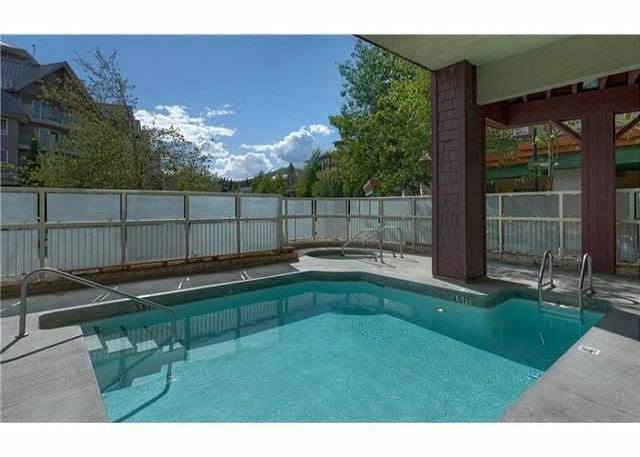 Very central, walking distance to everything, shops, events, gondolas. 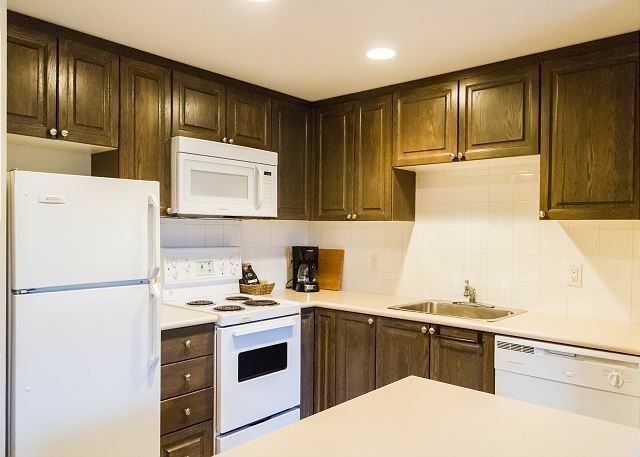 Very good condo newly renovated.